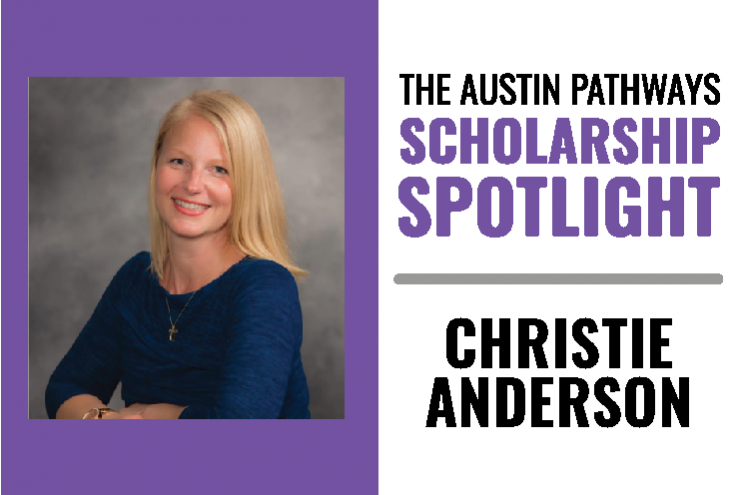 My name is Christie Anderson, and I am studying to become a licensed nurse practitioner. I am currently working toward earning my Associate Degree of Nursing (ADN) through Austin Community College’s (ACC) Registered Nursing Program. Once I earn my ADN, I plan to take advantage of ACC’s ADN to Bachelor of Science Nursing Program. ACC’s nursing program is preparing me to take the National Council Licensure Examination, a nationwide examination for the licensing of nurses in the U.S. After several years of gaining on-the-job nursing experience, I will choose a specialty, complete a master’s program, and apply for Nurse Practitioner Certification. Thanks to help from Austin Pathways and the Housing Authority of the City of Austin (HACA), I am well on my way to achieving my dream of becoming a nurse practitioner. I am currently enrolled in ACC’s Health Sciences Division. When I began attending ACC, I took several remedial courses in preparation to reach my long-term educational goals. While completing the nursing pre-requisites, I simultaneously enrolled in state-required core curriculum courses. While doing so, I have also completed all co-requisites for the nursing program, and am excited to move forward. I have submitted an entrance application to ACC’s ADN program and, while waiting for an acceptance letter, I was granted permission to enroll in ACC’s Nurse Skills I course. I cannot wait to begin ACC’s RN program! Receiving the Austin Pathways HACA Scholarship has benefitted me greatly. Beyond the increase in self-esteem and the pride I feel from being an Austin Pathways HACA scholar, I am also in a better position to afford the required textbooks, uniforms, tuition, and fees associated with the RN program. Being awarded the Austin Pathways HACA scholarship provides me with peace of mind so that I can be less focused on my education-related costs, and instead, focus on my education. By investing in me, Austin Pathways and HACA have helped me to better afford the next few semesters of school. Because of your investment in me and my family, we will all benefit from my nursing degree. My children will continue to have a parent who models a behavior of hard work. They will continue to see me persevere, and we will all emerge shining. My children will know that striving for excellence is hard, as is anything we do to affect great change in our lives, and the lives of those around us. Achieving greatness is difficult, but highly possible. One day, my children will reap the benefits of their mommy’s bachelor’s degree. The nights I chose to study, rather than sleep, and they days we spent apart, will all be worth it. Mommy will have a rewarding job helping others. Thank you for investing in us so that we can become self-sufficient and financially independent. Your scholarship increases the capacity in which I may better serve my family and my community.